I grew up on a farm west of Fulda, Minnesota and graduated from Fulda High School. After graduation I attended Mitchell Technical Institute in Mitchell, South Dakota for Agricultural Technology. I then returned to the family farm where we grow corn, soybeans, and alfalfa and feed cattle and hogs. 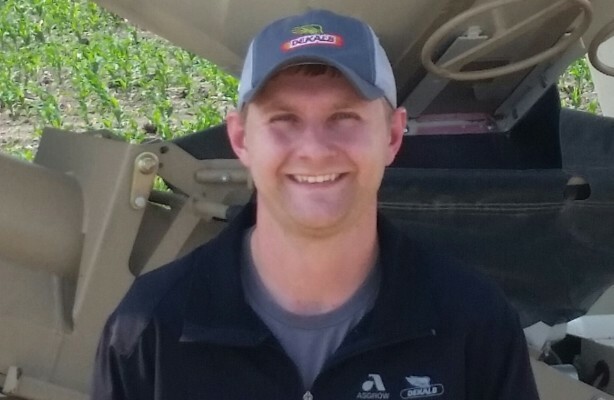 I followed my interest in agronomy and the seed business to I-90 Seed Solutions in the spring of 2014 and enjoy assisting other farmers with their seed needs. I believe Dekalb/Asgrow have top notch products that I am proud to sell and represent. I really enjoy working with farmers to maximize every acre, and drive profitability on their farm. In November of 2014 I married my wife Torri we live on a farm west of Fulda. We enjoy spending time with our family and friends. We also enjoy the occasional concert or baseball game.